This third film rips apart the multiverse. 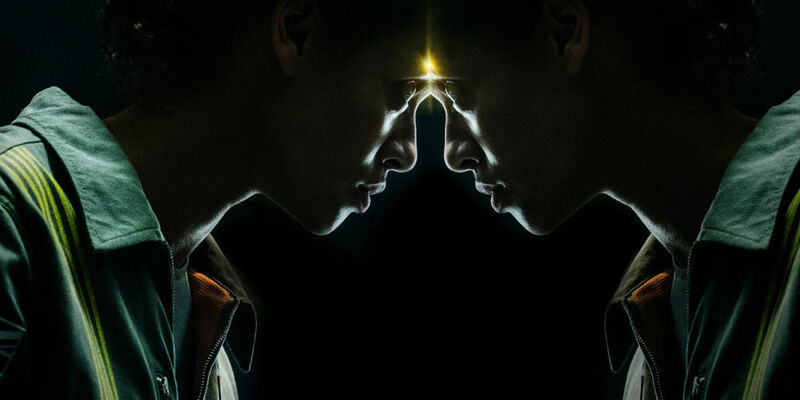 Netflix’s The Cloverfield Paradox endured mixed reviews in the hours since it made a surprise debut after the Super Bowl on Sunday, but the latest film in J. J. Abrams Cloverfield franchise has solidified its place as the most important Cloverfield movie ever for a good reason. The events in The Cloverfield Paradox probably caused everything that’s happened in the other two movies, and every other Cloverfield film to come. So what exactly is the Cloverfield Paradox? This marketing makes a lot more sense now that we know 'The Cloverfield Paradox' involves a multiverse. Nobody will ever accuse these films of being subtle, but “smashing together multiple dimensions” and “shattering reality” is exactly what the experiment winds up doing across time, space, and every dimension in the multiverse. The Shepard particle accelerator not only transports the entire space station to a parallel reality, causing all sorts of inter-dimensional body horror in the process, but it also causes giant monsters to appear in the crew’s original reality. And it’s highly unlike that the damage stop there. Shepard probably also caused one a monster to appear in a third reality 20 years prior (Cloverfield) and inadvertently brought biomechanical, tentacled alien ships to a fourth dimension circa 2016 (10 Cloverfield Lane). You shouldn’t look at these films as one singular continuity; each world comes with its own slightly different problems, all caused by one experiment gone wrong in The Cloverfield Paradox. Kiel (David Oyelowo) and Hamilton (Gugu Mbatha-Raw) aboard the Cloverfield Space Station. When they do actually fire the particle accelerator, the station is transported across the solar system. A woman also appears inside the wall, but it isn’t until a different wall consumes a crew member’s arm and regurgitates it across the ship — with a mind of its own, no less — that they all begin to realize something much stranger is going on. 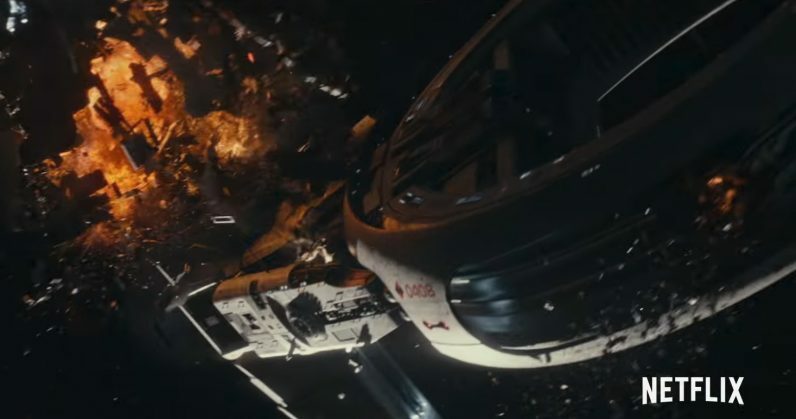 The ship’s German physicist, Schmidt, is the first to diagnose everything that’s going on: “This is the [Cloverfield] paradox.” He clarifies by explaining that the paradox itself involves, “particles interacting with each other across two dimensions … two distinct realities in a multiverse, fighting to occupy the same space, creating chaos.” That “chaos” also includes a bunch of worms re-materializing inside one of the crewmembers who then explodes Alien-style. As it turns out, the station was transported into an alternate dimension where World War III engulfs the Earth and the other Cloverfield Space Station had suffered a catastrophic failure and crashed into the Atlantic Ocean two days prior. The Cloverfield Space Station gets severely damaged. We’re naturally tempted to see a connection here to the random object that crashed off the coast of Coney Island in the final shot of Cloverfield, implying that it may have been some space debris that caused or created the original monster, but the timelines just don’t match up. Wonder what this could be. There could be some weird Donnie Darko shenanigans happening, but for now, the nature of these giant monsters across the Cloverfield Multiverse somehow remains a mystery. But we do know Hamilton’s home reality has the biggest, because its head reaches above the clouds. Each new film in the Cloverfield franchise will probably take place in an independent reality, but the nexus of all that carnage likely originates from Hamilton’s home reality in The Cloverfield Paradox. Maybe that’s why their monsters are the biggest? We’ll see if that theory holds true when the next Cloverfield project comes out. Either way, it’s starting to seem like the world of Pacific Rim would fit nicely into the multiverse of Cloverfield. The Cloverfield Paradox is currently available to stream on Netflix.